Click here to support WNCW.........,. Isothermal Community College, Spindale, NC.. 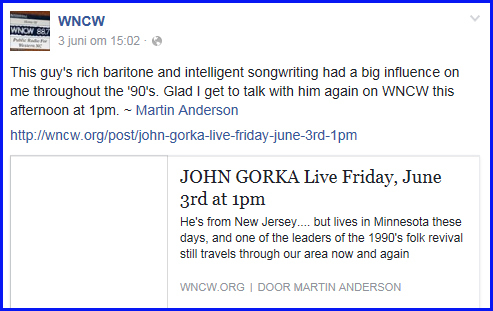 He's from New Jersey.... but lives in Minnesota these days, and one of the leaders of the 1990's folk revival still travels through our area now and again for intimate, intelligent, and hilarious performances. 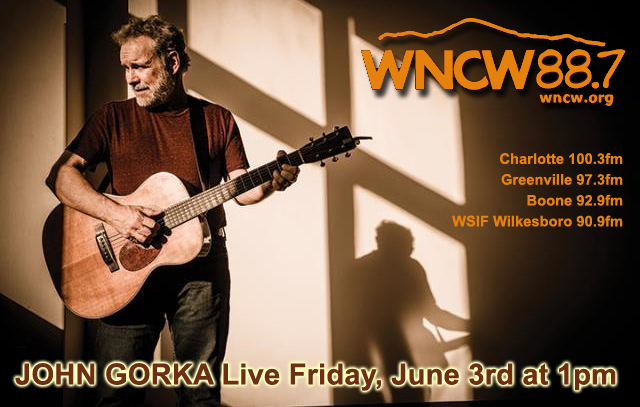 We are honored to welcome John Gorka back to WNCW before his show Friday night at Isis Restaurant & Music Hall in West Asheville.